Louis Berkhof’s Systematic Theology is an example of what I call standard systematic theology. ‘Berkhof’, as people refer to this book, comes in for more than its share of disparagement and misunderstanding nowadays. The author often offers definitions. 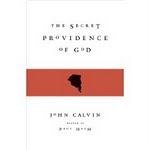 Unlike Calvin in the Institutes he does not search for them, (see, for example, Inst. I.15.2; II.1.8; II.2.4; III.2.7) , he finds them ready-made in the tradition of Reformed Scholasticism which he inherited. For instance, he offers a definition of divine omnipresence as ‘that perfection of the Divine Being by which He transcends all spatial limitations, and yet is present in every point of space with His whole Being’. (p. 60) (The italics are LB’s) What’s the point of such a definition? Some seem to think that a definition of something says it all. A definition of divine omnipresence tells us all that there is to know about it. But making a definition is not like the manufacture of a chemical essence or an extract which takes everything that is value from a plant or a rock and discards the rest. A definition of omnipresence does not turn Psalm 139, for example, into a waste, like ash or pith. The systematic theologian, with a string of such definitions, is not smarter than Scripture. So what is going on? In defining omnipresence has Berkhof mastered it? In defining it, has he bottled it up, boxed it in? This suggestion seems weird, especially in theology. If Berkhof defines omnipresence does that mean that he is omnipresent, or knows what it’s like to be omnipresent, or has invented omnipresence, or is able to explain it? No, none of these things. It’s especially important to underline the last point. Defining is not explaining. A theologian brandishing definitions is not like a scientist or a detective, filling in the gaps in our knowledge, solving problems. Berkhof’s definition of omnipresence does not solve the problem of omnipresence, of how it can be that God is wholly and indivisibly present everywhere. It may even be said to accentuate the problem. I’d rather say, it protects the problem. Why is a problem worth protecting ? Only if the problem that is protected is less of a problem than any alternative. Could God’s omnipresence be understood in spatial terms? Is there more of God in an elephant than in a flea? No. So his presence is non-spatial. Is his non-spatial presence local in character? Is part of God non-physically present in the church of Ephesus and part in Corinth? No again. The unity of God is such that he is indivisible. So God is wholly present here, and there, and at every point. Is this not mysterious? To be sure it is. But the alternatives are not only mysterious, but manifestly at odds with God’s infinity and perfection, clearly taught in Scripture. So, systematic theologians are more like grammarians than like scientists or detectives. They show us (from Scripture, if they are being faithfully Christian) how to think, and not to think, about God, and so how to talk about him. What to say and what not to say, in the same way that grammarians codify a natural language, telling us what makes sense in that language, what is a mistake, and so on. Grammarians do not control what we say: they indicate the rules of intelligible speech. By drawing on other scriptural data a human definition of divine omnipresence (a fallible effort, of course) makes an attempt at saying what must be true if the assertions of Psalm 139 and similar language are to be understood. In a way that is surprising we often take such definitions (or the intuitions that lie behind them) for granted, despite (perhaps) our distaste for such things. They undergird a lot of our exegesis and how we apply it. The rhetorical force of ‘Where shall I go from your Spirit?’ with its implication ‘absolutely nowhere’ only indicates a truth about God’s presence if it is true that God (who is spirit) is omnipresent in something like the Berkhofian fashion. But Berkhof’s definition is not an attempt to replace the language of the Psalms or of any other language, or to be cleverer than Scripture. His definition does not take us beyond Scripture, making Scripture second-rate. It is a skeleton, not the entire body. Insofar as Berkhof’s definition is faithful to the biblical data, it will uphold the biblical teaching on divine omnipresence and will in turn warrant us in concluding that Psalm 139 is a celebration of such omnipresence and so not something else. We might otherwise be quite attracted to the idea that the language of the Psalmist is hyperbolic, or that it records an ecstatic experience of the writer, and does not express, (through the language of poetry) the sober truth of divine omnipresence. So awareness of the definition, or of what the definition defines, which is intended to be drawn from scriptural teaching as a whole, serves to integrate that Psalm into the other, variously expressed, biblical teachings on divine omnipresence. The old-fashioned term for this connectedness is ‘the analogy of the faith’. Where we are not understanding the scriptures with the skeleton of systematic theology in place then our ‘body of divinity’ will be flabby and misshapen. This does not mean, as already noted, that the assertions of the systematic theologian are incorrigible. Scripture must continue to bear down on them, to force reconsideration and reflection. A skeleton is not a carapace. But at any one time the activity of Bible interpretation, if it is to have a hope of being faithfully Christian, must have the skeleton in place and build around it and out from it. When Scripture itself says ‘God is Spirit.’ or ‘God is love’ or ‘ Faith is the assurance of things hoped for’ these definitions or epitomies do not replace particular instances of the exercise of God’s love, or of faith. The danger is that of comparing apples and oranges, the apples of exact definition, and the oranges of the dramatic, narrative and poetic language of Scripture, and thinking that the apples must always come off worse. One particularly puzzling source of unease with Berkhofian systematic theology is that it is judged to be theoretical and so not practical. Berkhof theoretically describes, whereas we need a systematic theology that is ‘participatory’. This is odd because, as we have already noted, Berkhofian definitions do not describe, they protect and safeguard. (They function like the Chalcedonian definition works in the case of Christology.) But more importantly, whether some set of assertions is of theoretical or practical value depends entirely upon the attitude of the reader or hearer to it. Being theoretical is being exact, and in theology exactness of thought should not be derided. We ‘participate’ in sound definitions when they engender confidence that they have captured the relevant bit of the skeleton. However, our attitude to what is exactly expressed depends entirely on whether we believe what is expressed is important or not. In the same way, we can stress the ‘participatory’ nature of the language of Psalm 139 for all we are worth, but it remains on the page if we do not see the need to ‘engage’ with it. 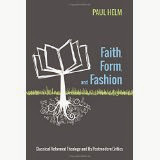 Paul’s debates about justification by faith alone, or his defence of the resurrection of the body and the nature of the resurrection body, are instances in the New Testament of such systematic exactness. For in these arguments Paul teaches not only what justification is, but also what it is not; what the resurrection body will be like, and what it will not be like, and so on. Whether or not we ‘participate’ in what Paul teaches depends not upon Paul, but upon ourselves, upon whether we see the need to ‘engage’ with his teaching personally. That is true of all types of Christian discourse. This reminds us that, whether we like it or not, we are subjects who apprehend the set of sentences which comprise Holy Scripture. There is no way round a subject-object ‘dichotomy’. Systematic theology is (or aims to be) above all other things loving and obedient thought about God. Loving and obedient speech and practice may follow, but whether or not it does so depends upon factors besides thought alone. Calling exact, propositional theology rude names like ‘theoretical’ or ‘foundationalistic’ does not alter anything. The sobering truth is that the one gospel is to some a fragrance from death to death, to the other a fragrance from life to life (2 Cor. 2.16) Which it is very largely turns on whether we properly appreciate the aroma of Christ, not whether or not we care for definitions. But the definitions should help us to understand the gospel better. So definitions are not imperialistic. They are not the work of theological know-alls. And the theoretical versus practical issue is a red herring.